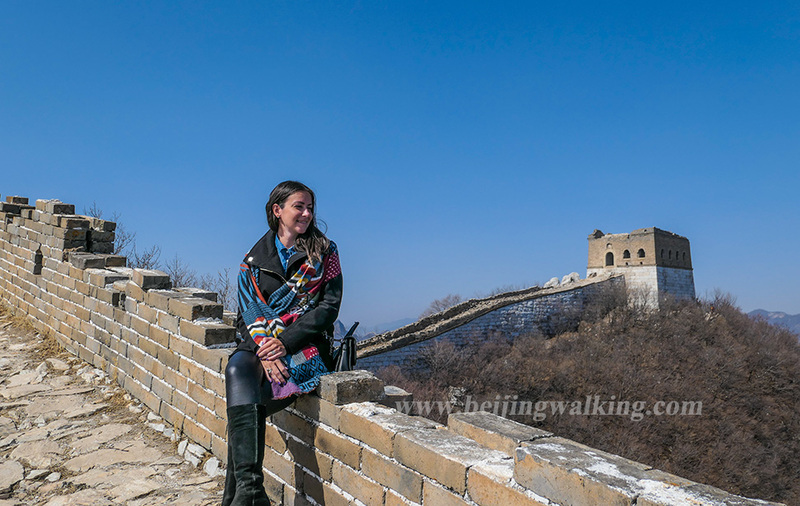 How to get to Jinshanling Great Wall? Jinshanling is 150kms away from Beijing. It is close a short time in 2017 but reopens in October 2017. Can you visit the wall by public bus? Yes, there is a direct express bus from downtown to Jinshanling. Easy to take! 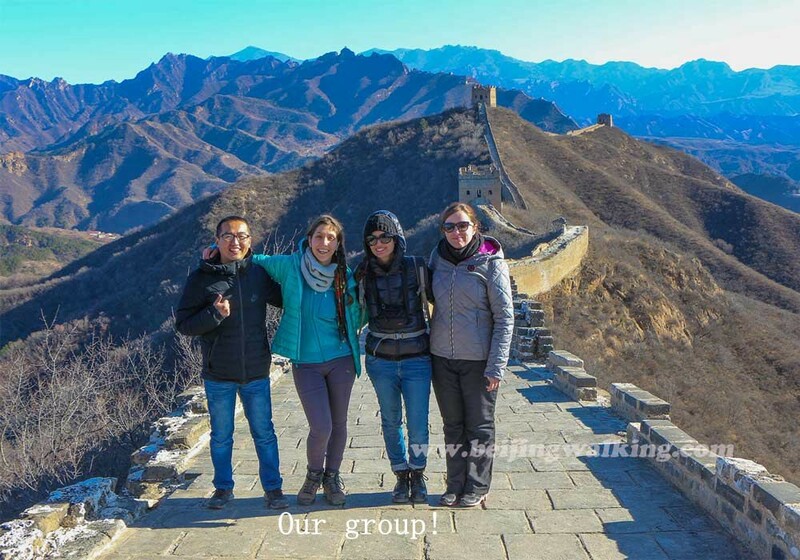 Why choose the Jinshanling Great Wall to visit? #3 150kms away from downtown Beijing make it crowd-free. Rental a car or take a tour is the easiest way. If you want to save some dollars and get a bus experience, you need to read this. 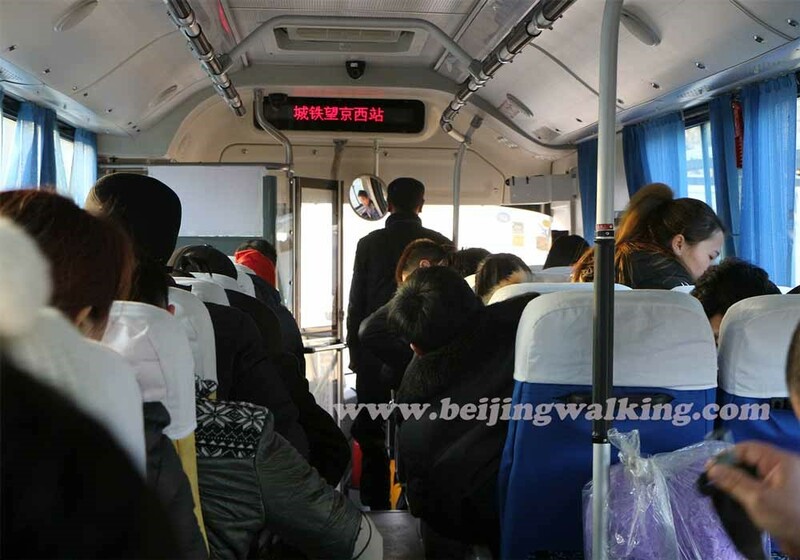 This is the best way to take the public bus to Jinshanling and the only way to make it in 1 day by public bus. 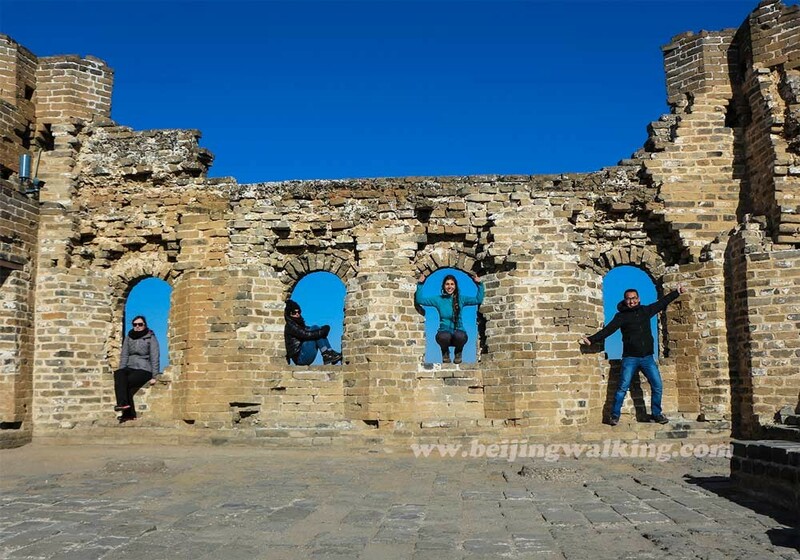 Take the Beijing to Luanping City bus to visit Jinshanling. The bus starts from Wangjing west station (望京西站) to Jinshanling Great Wall （金山岭长城）without stop. 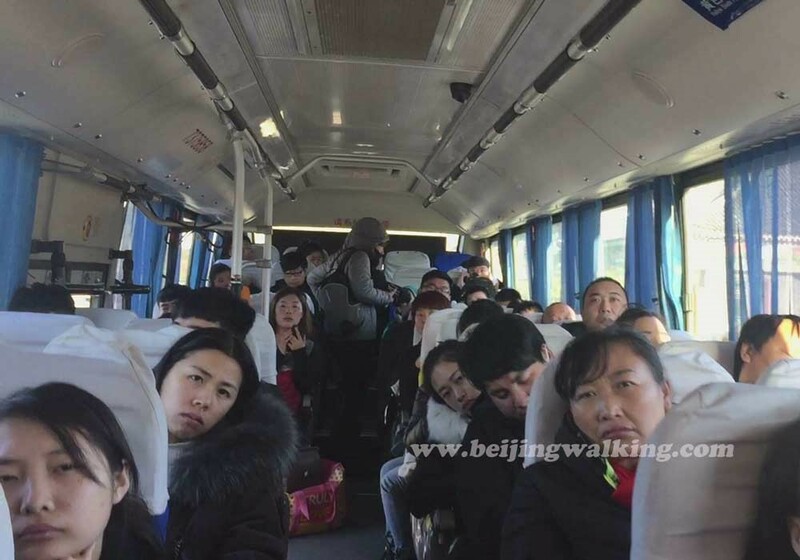 (Jinshanling is about 150kms away from Beijing, the bus take about 2 hours to get there). Especially Jinshanling Great Wall closed 4 months for renovation in 2017. After it reopens on 4th October 2017, I found there are a lot of changes. I went to Jinshanling Great Wall by taking Beijing to Luanping bus on 28th November 2017. Jinshanling Great Wall closed in 2017? 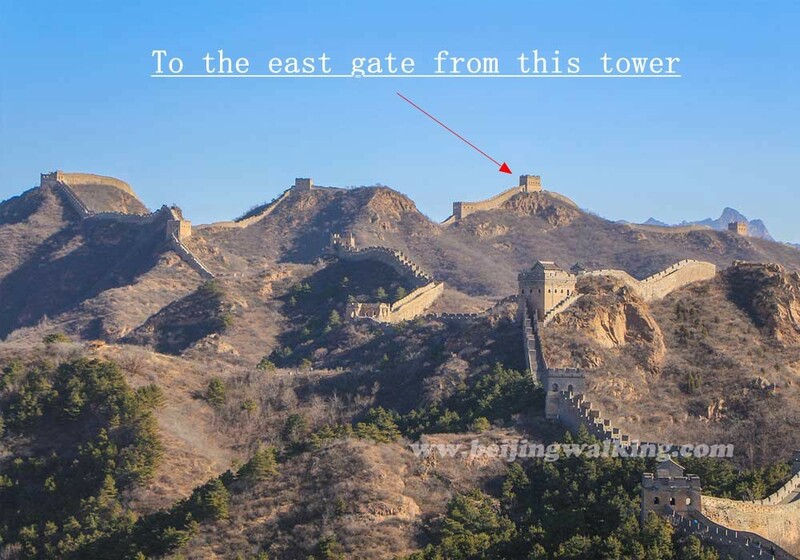 This section of the wall was ranked to a 5 stars attraction by Chinese Tourism Administration. It is closed for about 4 months (1/6/2017-10/17/2017) to upgrade the facilities. 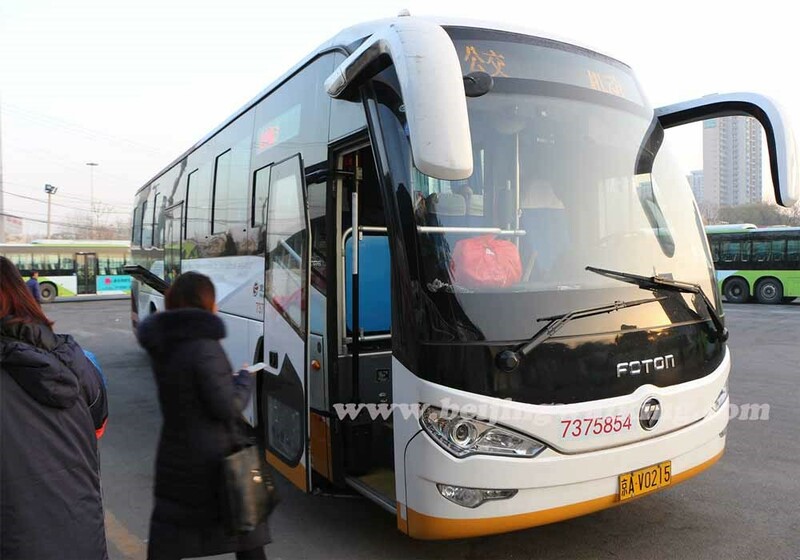 There is a new open shuttle bus from Beijing Dongzhimen wai station to Jinshanling Great Wall. It runs from 7:40 am daily(April to October). The bus will go to Wangjin west and then go to Jinshanling. The tickets price is 50RMB each way. This is the easiest way! In case there are too many people you can’t get on the bus or you get there too late and miss the bus. You should go to the wangjing west to take the Beijing to Luanping bus. 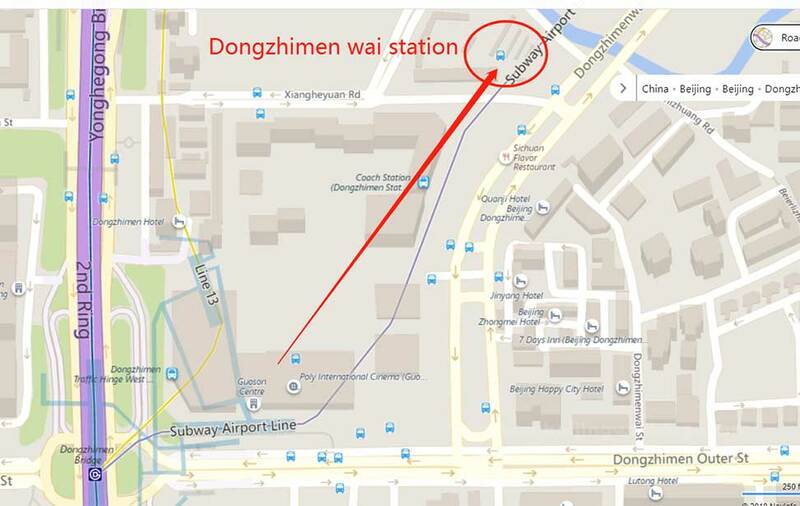 How to find Dongzhimen wai station (东直门外)? The bus station is a little bit further than the point on the map. Take the exit B at Dongzhimen. 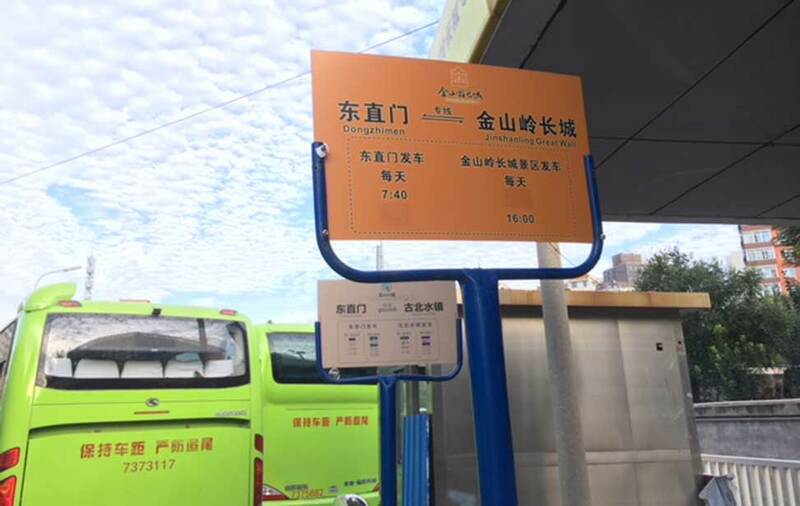 The bus station is outdoor and is at the corner of Xiang he yuan S street and DongZhimen wai Xie Jie (about 5/10mins walking distance from Dongzhimen subway). 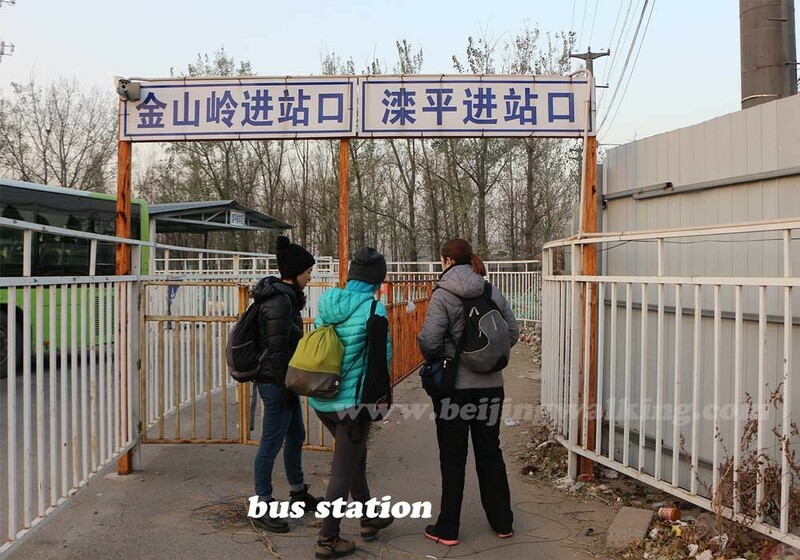 At the entrance of the bus station, you’ll find a blue sign: « Dongzhimen to Jinshanling Great Wall (express line) ». Go inside and just right to the toilets you’ll find the waiting area for the shuttle bus (Orange sign). This is also the bus station take the direct bus to Mutianyu Great Wall, if you like to go to Mutianyu Great Wall, you need to read this：How to get to Mutianyu Great Wall by bus? If you miss the shuttle bus from Dongzhimen wai which runs only 1 time at 7:40 am every day, you should read this below to take the bus from Wangjing west (望京西) to Jinshanling. #1 Being to Luanping (滦平) Bus facts. The bus fee is 32RMB per person. Kids under 1.2 meters are free. If you don’t use Yikatong (Beijing metro card), you just pay the conductor by cash. I was very confused when I used the Metro card to take the bus. Why? This bus is cooperative by Beijing and Hebei Province. The total price is 32RMB. Beijing section charges 19RMB, Hebei Province charges 13. Only Beijing section can use Metro card, so when you buy the tickets, 13 RMB cash is necessary. And then use the metro card pay 9.5 CNY on the bus POS machine. Because with the metro card, you can enjoy half price in Beijing section. If you don’t have the metro card, you should pay 32RMB for the ride. Actually, it is very easy to find the station after you walk out from Wangjing west subway station(望京西站). I took subway line 13 and got out from exit B. Walk down the bridge to the left side, about 100 meters walk to get to the bus station. We want to start a bit early, so we get to the subway station at 7:45 am in the morning for the bus at 8 am. Beijing subway begins at 5:30 am. So it is also possible to catch the first bus at 7 am. 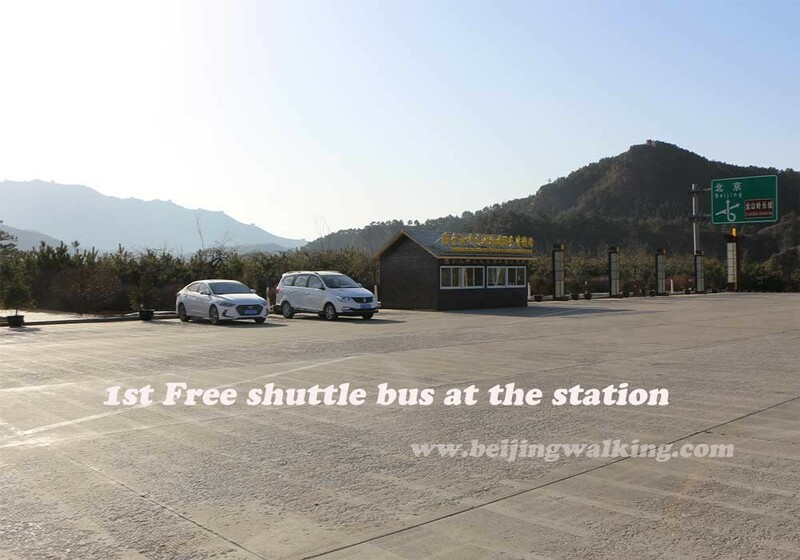 Take the public bus from Wangjing west to Jinshanling highway service station. 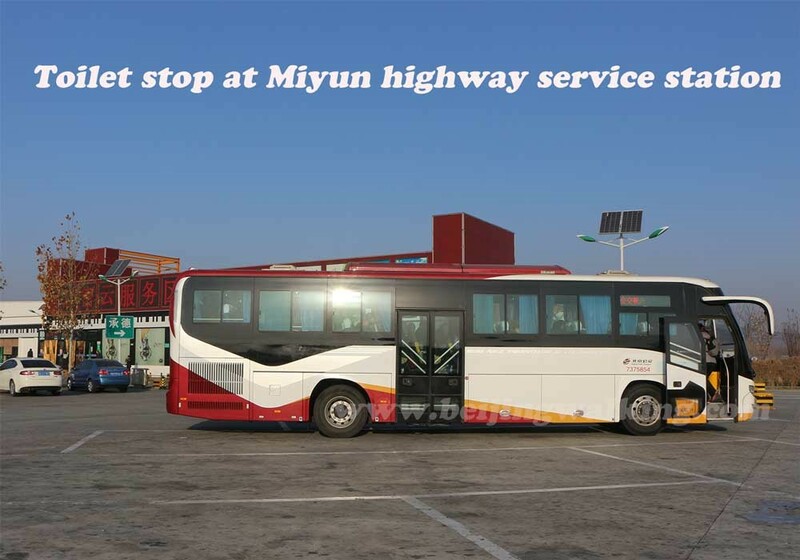 Once we get on the bus, Except a toilet stops at Miyun highway service station(密云高速服务区), the bus has no other stop before we got to Jinshanling highway service station. We get on the bus 8 am and get to Jinshanling 10:30 am. 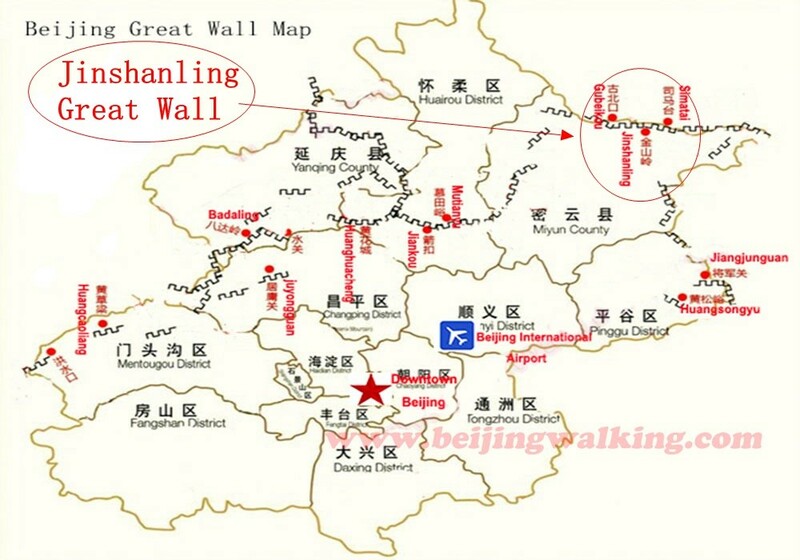 Jinshanling highway service station (金山岭高速服务区) is only 1.5kms away from East Gate of Jinshanling Great Wall. At the right hand, you can see the Jinshanling Great wall information center. Take the free shuttle bus to the entrance of the Wall. 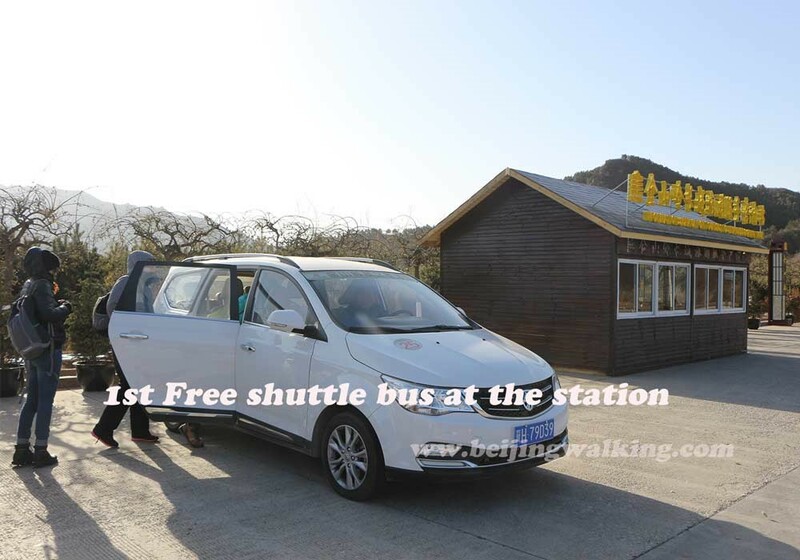 The free shuttle bus mainly serves the people who take the public bus from Beijing. As long as there is people want to go to the wall, the free bus will start to run. You can choose either stop at East gate or main gate. It depends on how you would like to visit the wall. If you want to start from the main gate, when the free bus drops off you, you need to change the 2nd free shuttle bus to get to the main Gate (3 minutes drive). It is a bit complicated from here, but when you are there, it is very clear and easy. We want to hike from the Main gate to the east gate (7kms), so we decide to the main gate first. You can take the shuttle bus. 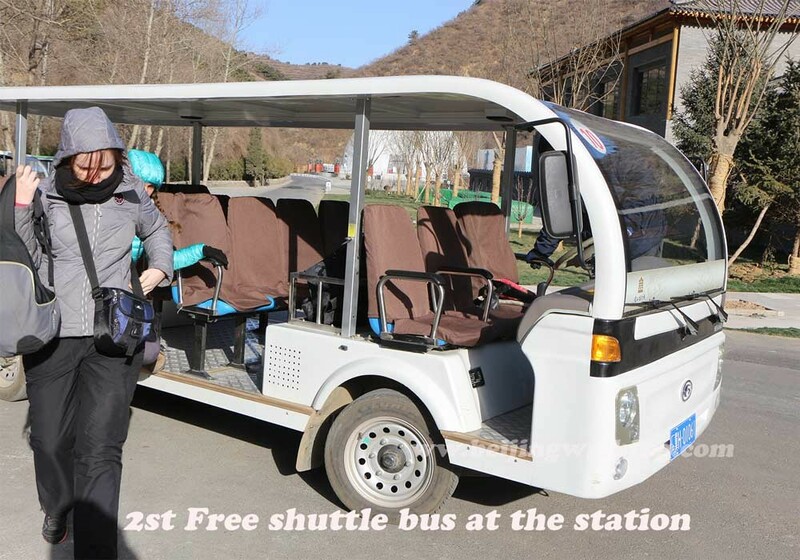 (free shuttle bus schedule: 10:00，11:00，13:00,15:30) If you miss the shuttle bus here, you can easily take a transfer by the local driver with 20RMB pp or so to the main gate. The 2nd free shuttle bus from the main gate to the entrance is not free anymore. It is 10RMB per person. If you don’t like hike too much, there is a cable car you can choose. The price for the cable car is 40 RMB (1 way). Round way is 60RMB. 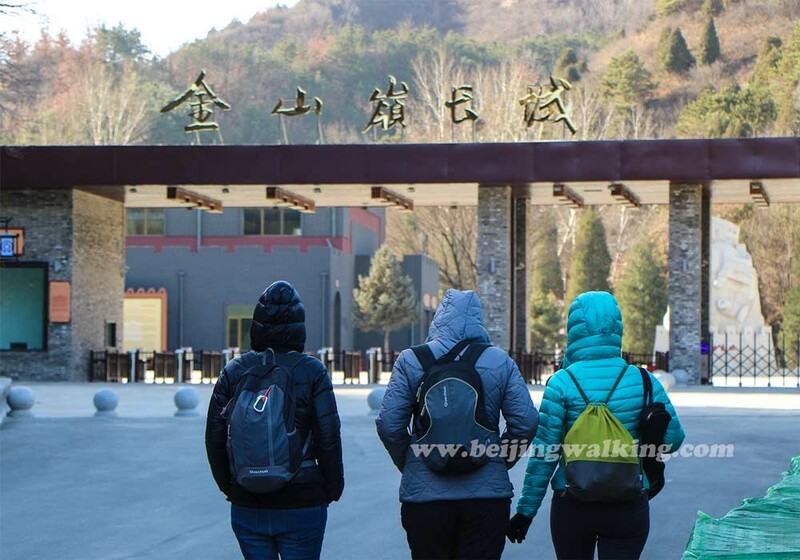 Our hike route is Main gate-Zhuanduo pass – Houchuankou – east 5-windows tower – east gate. 7kms hike, 3.5 hours. The view is absolutely amazing! Of course, you can customize the route based on your own. When we came out from the East Gate, the free shuttle bus was just right there. We quickly jump on the bus, and the driver takes us to the Jinshanling highway service station immediately. Unfortunately, we missed the bus at 2:30 pm about 10 minutes late. So we had to wait for the next one which comes at 3:30 pm. Tip: It is better to go into the small supermarket to inform the bus conductor that we will take the bus back to Beijing. Because she will call the start station (Luanping) and reserve seats for you. We get back to Wangjing west station at 5:30 pm. 2.5 hours by bus, it was a bit of traffic jam that day. I will keep updating the latest information to help all the travelers. Please let me know any of your suggestions or questions. I would be more than happy to assist your Great Wall trip! Thanks a lot for detail description, without it we get lost. Unfortunatelly shuttle buses are not marked, and if so (open golf-like cars for 12 people) they ask for money-10Y at least. No Shuttle bus when you arrive, no signs, nothing but empty and locked shed having English sign on. Taxis (resambling vutures) waiting along, and lucky you if you beat down the price to 20Y and if the driver takes you to The VR Experience point (Followed by Shopping Street, Jinshanling Great Wall Tourist Center and Cable Way Down Station). We were not lucky enough, toad driver kicked us at Public Parking House, whete we should take a shuttle – looking as a tourist buggy and officialy paid 10Y to take us close to the gate. Backward similar story- forgot free shuttle if you are not local. Be prepared to pay extra from 20Y to 50Y, depends on your ability to haggle. I just check that the shuttle bus is not free anymore. It is 10RMB each way.The price is the same for everyone. Just FYI as of Jul 15 2018 there is a direct bus from Dongzhimen to Jinshanling that also stops at Wangjing West. I think the bus leaves from Dongzhimen at 7:40 AM (It got to us at Wangjing West around 8:10). The bus then leaves from the East gate at 3:40 PM (Main gate at 4). We were charged 50 each from Wangjing West one way. I just check the information and you are right, there is a bus from dongzhimen BUS HUB to Jinshanling every day. The schedule is 7:40 am and 8:20 am. The bus fee is 50RMB each way. The back time is 3:30 pm and 4:30 pm. I will update this to the blog with more detail soon. Your instructions are so helpful. It really helps to see visual as well as written instructions. Plus adding how it is written in Chinese is invaluable! 1. How can we get from Jinshanling wall to Gubei Watertown? 2. 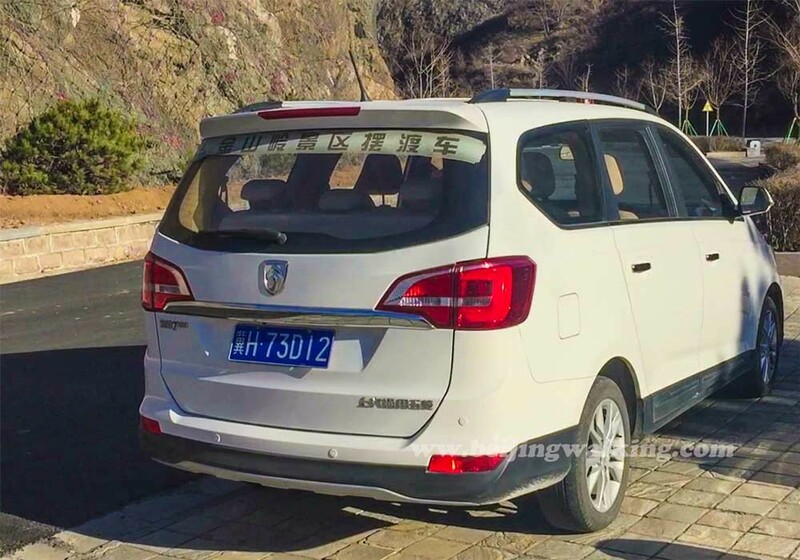 Is there a particular Jinshanling exit for this transport? I was thinking the east gate but was not sure about transportation options. There are a lot of information in Chinese if you search Baidu that’s why I don’t make it in Chinese. I couldn’t find any shuttle bus from Jinshanling to Gubei water town. I guess you need take a local taxi or negotiate the price with the drivers. It is about 16kms drive, I think it may cost you 100RMB or so. Thank you so much for your detailed info. I had a wonderful, crowd free, day with my family sunday july 22 on the Great wall at Jinshanling. We started in the morning following your instructions. Subway to Wangjing West. We took exit C. Crossed the street and took a right. Passed the ‘Our Hours’ convenience store and took the first entrance to the bus station a couple of meters further down the road. This is not the right entrance, so we had to cross and walked passing the parked busses to the other side of the station (lot). There we queued for the 7.30 am bus to Luanping, after asking around showing pictures of the Chinese name (滦平). We arrived by 7.15. We got on the 7.30 bus, but not everyone was lucky as the bus was full and quite some people had to wait for the next bus. We used the Beijing subway card and had to pay another RMB 13 cash per person. About 90 minutes we got off at the Jinshanling highway service station. We went into the small supermarket to find the bus conductor to try to make a reservation for the return trip to Beijing or to make some inquiries. We found the lady, but she made clear that the 15.30 bus was no option. The reason or what alternative, was not made clear to us….We decided to go on. There was no shuttle bus and a kind of tourist office beside the shop was closed. A ‘tout’ already approached us when leaving the bus, following us around. He would bring us to the great wall station for RMB 100. With limited options, telling him that we would walk, I managed to get the ride down to RMB 50. We planned to start from the east gate. The man tried to leave us at the place where we saw signs for the station and where some shuttles (kind of large golf carts) were parked. That was some 5 km from the service station. From that point there was an exit with a barrier. There was nobody in the booth, so the driver passed the barrier and drove another mile or so. We were dropped of at the main gate and ticket office. As we were a bit nervous about the time we would need and the return to Beijing, we decided to take the cable car up (RMB 40 p.p) and walked to the east 5 windows tower. From there we walked to the direction of Simatai to the point were the way was closed (Qiling tower). From there we walked back to east 5 windows tower, where we walked down to the east gate. We arrived about 13.45. There was no shuttle present so we had to haggle with a private driver. He took is back to the service station for RMB 40. He told is there was no bus and het offered to bring us to a better place foor RMB 200. We kindly refused the offer. Arriving at about 14.00, trying to get the conductor to get us on the bus, we had to wait another one and a half hour before the bus arrived. There were quit some people waiting, but we all could get a seat on that bus. In between we tried to get a spot on touring and other busses to Beijing, but that strategy was not successful. About 17.00 we got back at Wangjing West subway station. Thank you for all your detail experience. The free shuttle bus only runs certain times a day. Thank you so much for all information. It will help a lot. Just to make sure, first I need take the bus to Luanping station (32yuan) and then another one to Jinshanling highway(32yuan), is that right? Do you know the shuttle timetable? The easiest way is to Dongzhimen out and takes the Great Wall Shuttle bus, the bus schedule is 7:40 am. 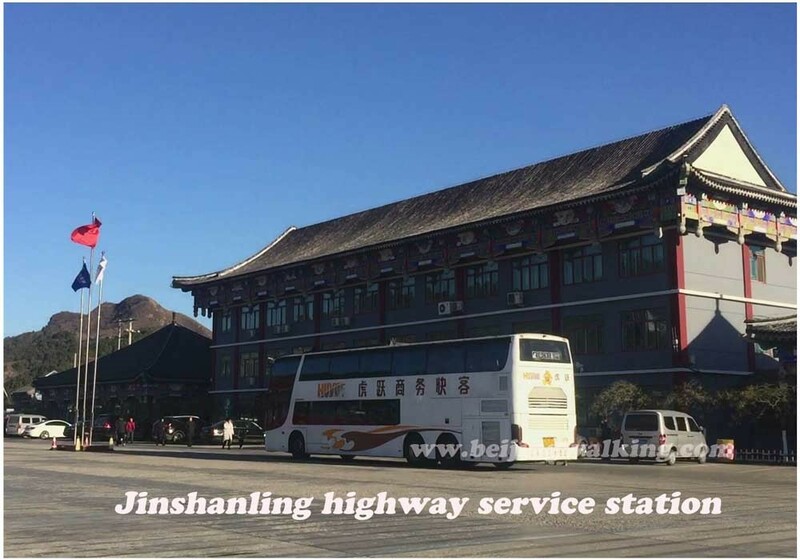 The bus takes you to Jinshanling directly. And take the same bus back at 4 pm. I think I will take the regular bus at 7am, I want to get there as early as I can to hike from gate east to Sinaia and then came back to front gate. From the front gate the last bus to Beijing is 4pm, both the regular and the shuttle, is that right? My last question. I promise. Do you know if those bus and shuttle work on Monday or only during the weekend? Hi, I just did the hiking, I started from East Gate and finished in the front gate. I loved it. One of the most extraordinary experience in my life. And thank you for all your instructions. I followed all and everything ended right. I took the 7am bus, then the free shuttle to the east gate. Then in the main gate I negotiated with a driver 10yuan per person to get back to the the bus stop to take the bus to Beijing. Thank you so much, I couldn’t make it without your help. I took the Wangjing west bus last year. So I am planning this trip and want to take advantage of the Dongzhimen Shuttle Bus at 7:40am on Mon Sept 24th. 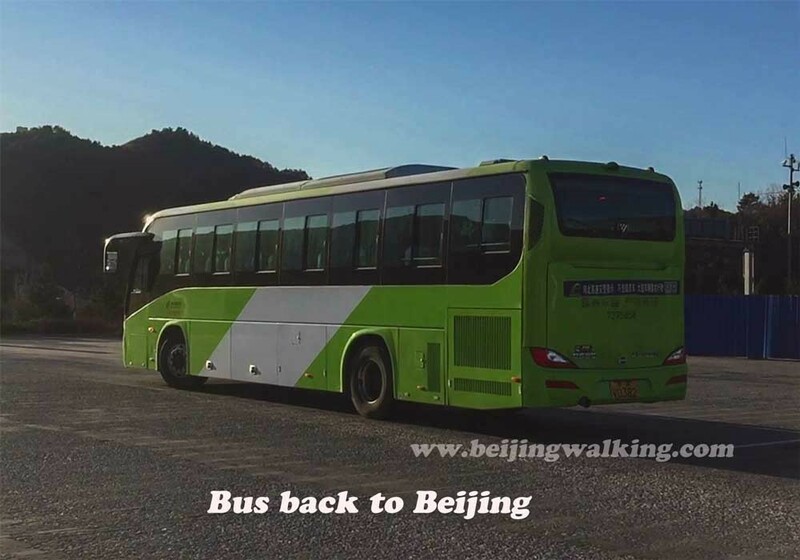 Where at the Dongzhimen station would I find this bus and where would it drop me off at the Jinshanling Great Wall? Can you provide as much detailed information that you have on this new bus option? I have post a photo in the blog and tell you where to find the Dongzhimen Out station (东直门外). The bus from dongzhimen out drop off you to the main gate shuttle bus station and also pick up people there in the afternoon. Thanks a lot for all the information on the Dongzhimen shuttle! 1. Is it possible to reserve a ticket in advance? Or is it first come – first served? 2. Same question for return trip – does purchasing return ticket guarantee your place on a return bus or you have to be first in line? They don’t take any reservation. If the bus is full, you have to go to Wangjing west to take the bus there. Thank you for all the informations. It helped a lot. It was very easy to go to Jinshanling. We did the hike today and took the 7:40 am shuttle bus at Dongzhimen. We arrived pretty early but we were only 4 people waiting for it. The bus station is a little bit further than the point on the map. Take the exit B at Dongzhimen. The bus station is outdoor and is at the corner of Xiang he yuan S street and Dong zhi men wai xie jie (about 5/10mins walking distance from Dongzhimen subway). 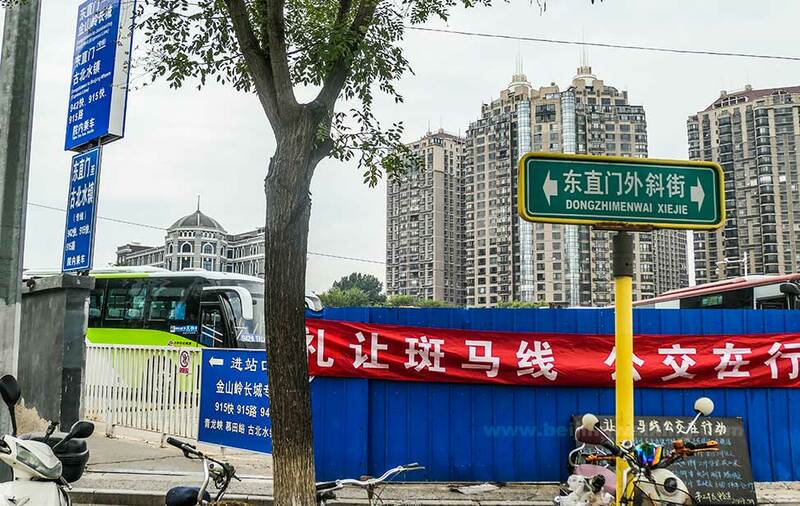 At the entrance of the bus station you’ll find a blue sign : « Dongzhimen to Jinshanling Great Wall (express line) ». Go inside and just right to the toilets you’ll find the waiting area for the shuttle bus (Orange sign). The driver waited until 8:00 am because we were not enough people then we left Dongzhimen and went to Wanjing West. Some people took the bus at Wanjing West and had to pay 50 yuan like us. After 2 jours, he bus stopped at the main gate and we bought tickets there. We decided to take a shuttle (10 yuan) to the entrance. It is not very long and you can easily walk 10/15 minutes to get there. Before the ticket checkpoint you’ll find toilets and stores. We did not take the cable car and decided to walk 15/20minutes to get to « Brick Crenel ». Then we walked about 2 or 2,5 hours before we reach East-five window tower which is the exit for the east gate and arrived at the gate around 2pm. There’s about 1km from the tower to the east gate. We took our time but did not stop for lunch. We did not realised that we had so much time. You can wait for the bus which leaves east gate around 3:40 pm. The bus will go to the main gate and will be waiting until 4pm. For me it is easier to start at the main gate and then finish at the east gate. It’s easier to reach the wall from the main gate. You’ll find lots of stairs starting from the east gate. And if you take the bus at the east gate you’ll be sure to be the first on the bus and get a seat back to Beijing. I have pointed some area on a map and have some pictures of the bus and signs if you are interested. Thank you so much for spending your time to tell us about your experience. It is very helpful. Could you please send me the photos you think it is helpful for this ride, I will put it on the blog. Ni hao! What time does Jinshanling close? I’m hoping to stay as late as possible to take sunset photos. Hi, it is officially close at 5:30 pm. But you can stay as late as you want. Better to arrange a car with you then. Hello all! 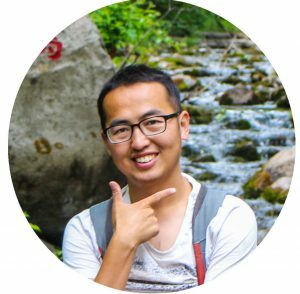 I did the JingShanLing Great Wall hike on Sep 14, 2018 with reference from this website. Just wanna share my experience. I missed the 7am bus coz took more than an hour to get from TianAnMen East metro stn to WangJing West stn- use Exit B. Take a sharp Right turn at the 1st bus terminal gate. 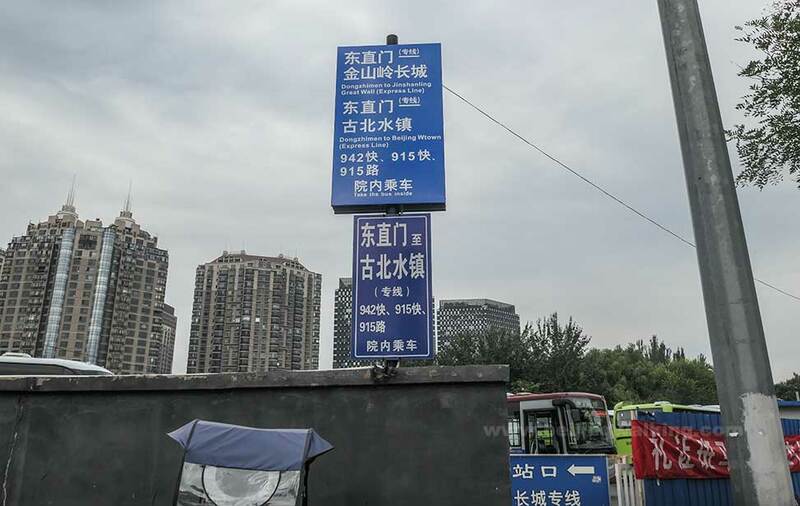 The LuanPing bus stop sign is together next with the Bus 980 sign. DO NOT TAKE 980!! Follow the path towards LuanPing bus stand. 7:40am: LuanPing bus start boarding, full. But only me and another guy (d only caucasian on d bus) alighting at the great wall stop. Bus ticket=¥32 with no metro card (?¥13 with card). 7:50am: bus depart from the terminal and begin the journey. 8:45am: 15mins rest stop at Miyun svc stn. 9:50am arrive JingShanLing svc stn. And 2 private drivers approached us immediately. Haggled with private drivers fr ¥100 to 25/pax. No free shuttle from the svc ctr to the Main Gate (to take d 2nd shuttle) since 1yr+ ago according to the supermkt workers. Private drivers are very aggressive to get your business right after u get off the bus, they even followed us into the supermkt. They refused to accept ¥20/pax. Finally settled for ¥25/pax. 10:10am: all the way to Main Gate with newly renovated shopping street, where our private driver dropped us off and led us into this “Great Wall Travel Agency”. At 1st they quote us ¥104 for each person, and i ask back in chinese why so expensive coz i know it should b only ¥65 (¥55 during low season) for only entrance fee with no cable car. You could just skip this travel agency and walk another 400m or so right to the JingShanLing Great Wall entrance and buy ticket there from d official office. After entering, you could opt to buy cable car ride (¥40/way, ¥60-RT). 10:30am start hiking. We actually took a left at a split section and ended up starting our hike from ShaLingKou tower; arrived at East 5 gate 12:40pm. We lingered around longer for taking lunch and longer break before decending. Only 30mins or so to bottom of East Gate. 2pm: after exiting East Gate, there’s a sign for shuttle bus, but no one/no bus is there. So i approach the nearby drink vendor to ask about the free shuttle bus svc. Shortly he hooked me up with a tour grp who are leaving the same time in their 50-seaters bus for ¥50/pax straight back to Beijing. We did that but meanwhile d tour grp had to stop for a 40mins lunch nearby which they offered to charge us only ¥20/pax if we wanna eat as well. 3:45pm-6:45pm: was a long ride back to Beijing after late lunch due to heavy Fri traffic. D bus made a stop at DongZiMen subway stn to drop the majority of its passengers. Hope these infos are helpful for fellow JingShanLing travellers. – It was pretty quite at the Great Wall, unlles hundres of kids from a school that make a lot of noise and spread out over the wall. Does anyone know if the Dongzhimen express bus will run through October and if it runs on a Sunday? It is running everyday by the government. If it stops, I will update it. First of all, thank you so much this guide. We wouldnt´ve been able to get there so effordlessly without it. We took the bus from Dongzhimen wai station to Jinshanling on Friday 12th in October. Every information is correct in this updated guide. The were approx. 200 people in total on the Wall! After entering at the Main Gate we took an inconspicuous road to the right that is maybe 50 – 100 m after the waterfall (which was to your right). The road is not too steep, there are a lot of benches there for you to rest on should you need it. That led to the most western part of the wall. The hike to the east gate (not the last 5 towers) took us 4 hours with spending a lot of time admiring the scenery. I wouldnt recommend to take take cable car unless you are terribly unfit. It is totally not worth it. If not for the money it self, then for the location it takes you to. It its in the middle so you will either miss half of the scenery or have to go back for a while. Again, huge thanks to the author of this guide! Hello everyone! Just tried to take the express bus from Dongzhimen. The line is closed as from the 1rst of November until April 2019. If you are reading this to go to the Great Wall for yourself and you are still afraid (like I was some days ago), don’t be! We went on 25th September, and the information was correct and priceless. We went into the direct bus and did from the main gate to the east side. It helped us to save a lot of money! Thank you! – if you go by metro to Dongzhimen station, remember you can find a lot of people at that time. – follow the instructions at the article and you will find the bus station quickly. Just go front when you exit the metro station, turn left the first crossroad and then walk until you see the blue board from the photos on the left side along with the buses. 5/10 minutes to do this path. – we arrived at 7:46 and still got the bus but we were lucky because there weren’t many people. It’s a bus with 49 seats and there were around 20 seats left. 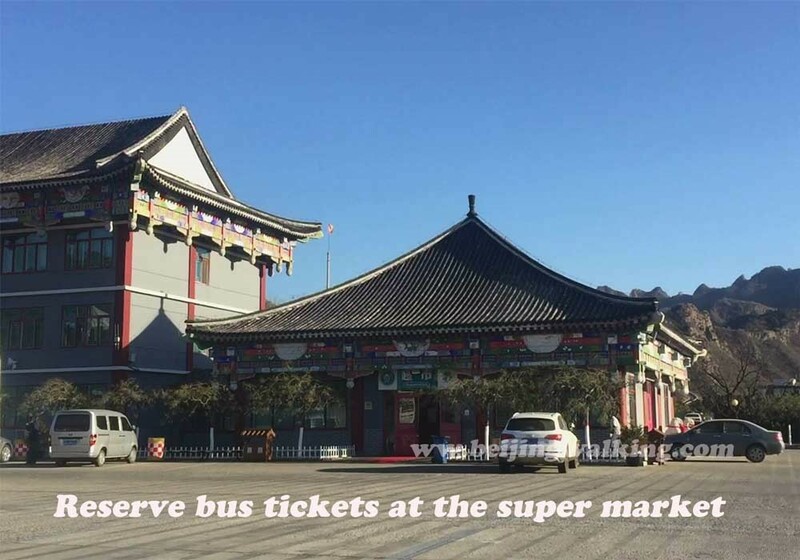 – 50 yuan for the ticket bus and you can’t buy the return in advance. The return bus starts at 15:40 in the east gate and then goes to the main gate where it leaves at 16:00 (information from the lady selling tickets in the bus). – we stopped in Wangjing station and then only 1 more stop in a highway station to go to the toilet, before arriving at the Great Wall. – 2h30m to arrive at the final stop, we arrived around 10:30. – there’s a shuttle bus but you can walk to the main gate with no problem. Just follow the road to the left where you park (you see other people going there). 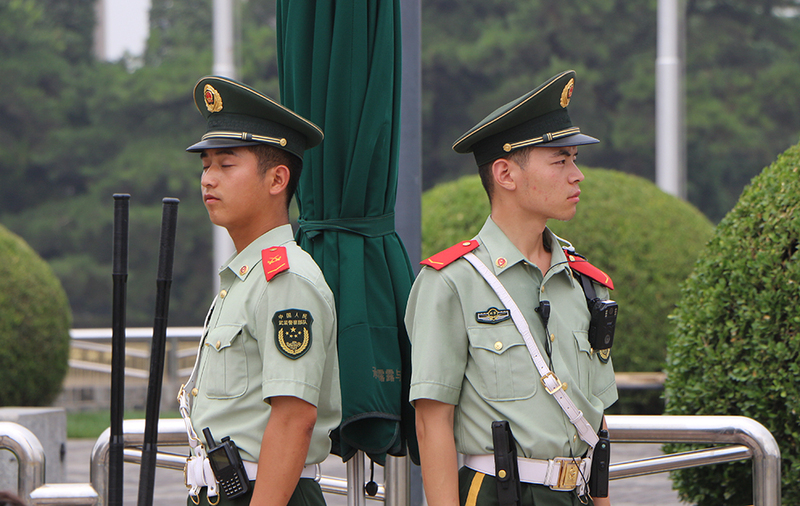 – 65 yuan for entry in the main gate and then you still have to walk 5/10 minutes to the Wall. – lookout for the scams: a tourist couple we met had a Chinese old lady following them. We asked if she was with them and they said they just met her on the bus and that she was nice, but she was always following them. When we tried to walk away from her a little faster, she started to walk faster too and then she pulled out a guide with Great Wall images. They said they didn’t want to buy anything and continued walking and the lady was there shouting some Chinese words that for sure weren’t beautiful. – when you look at the map, you see that the Wall to the west side is not very long and you can think there’s enough time to do the west side and then go to the east side. Remember that you will want to take photos, appreciate the path, stop for lunch and that you will get tired with time. Manage time. We went just to the first tower on the west side and then went to the east side. We took around 4h to the end, with 30 minutes lunch, but we had a lot of stops to photos and appreciate. Count with 15/20 minutes to descend from the Wall to the east gate by stairs (1km). – you find easily people selling souvenirs, food and drinks. Some have noodles and hot water to prepare them. We didn’t check the prices. – the section has some stairs harder to climb but you don’t need to be a trekking professional to do it. It’s manageable. – the path after East Five Window Tower is unrestored, but you can do it without danger (we only had time to go to the 1st tower of 3). – when we arrived at the east gate, our bus was waiting at the parking lot on our right side, 200m from the gate. You have a toilet before if you want to go. – the bus left at 15:40 from the east gate, then picked up people in the main gate and stopped again at the highway station (this time he picked up people – I think from a broken bus). – the only stop to left passengers was in Dongzhimen at 18:30 (remember the traffic to enter Beijing could make you lose some extra time at peak hours). Thank you again for helping us to have a great day on our first travel to the Great Wall!! Thank you for sharing the great experience! The bus is busier in summer holiday as there are many students travelers. But it is still ok, you can just get the station earlier wait for the bus.If you get there late and the bus is full, you won’t get to the bus. is the line really not operating in November? 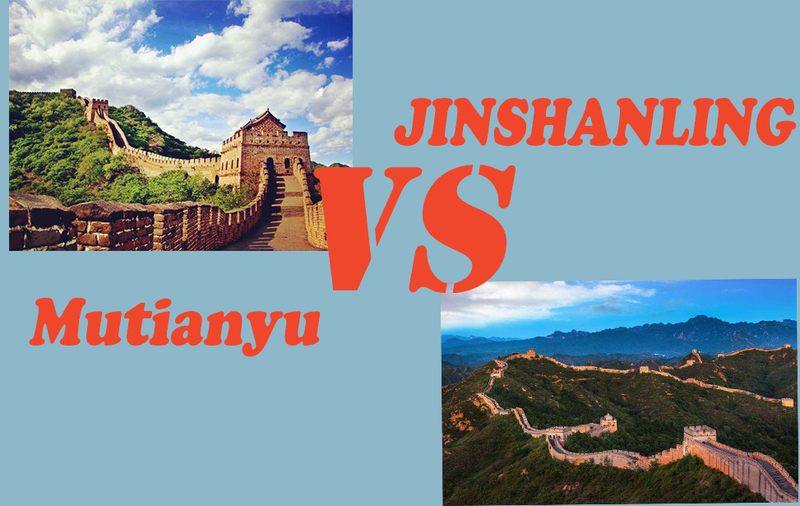 Is there any other way to get to Jinshanling Great Wall by local transportation? 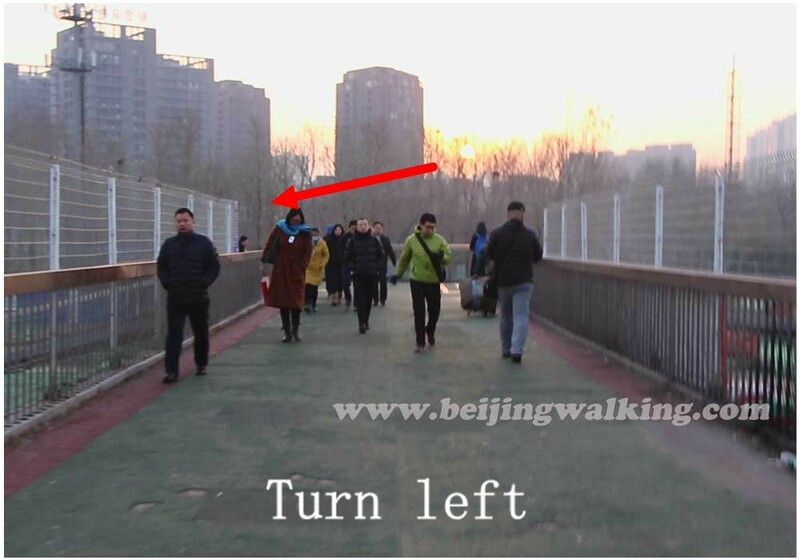 How about walking from Jinshanling to Simatei West? Currently these kind of tours are offered and I was wondering if they just continue to walk to the Qiling Tower and then take the cable car down? Does anyone has any experiences with the hike to Simatei West, especially transport? The bus from the Wangjing west is still on as the blog says. Thank you very much for this helpful blog entry. On 16th November 2018 we went from Beijing to Jinshanling the way it is described here. The most difficult part was to get the bus to come back to Beijing. But before I am coming to this point, I will tell chronologically which difficulties we met. We got on the bus at 8 AM and were the only tourists getting to the great wall. The bus left full. It was dusty inside, but nevertheless, we had a cheap nice trip. As we got off the bus on the highway station, we wanted to check first how we come back to Beijing later. So we went to the supermarket and wanted to make a reservation. In fact it is a mistake, the 2 ladies there don‘t want to help and are the wrong people. The lady described in this blog was outside and is to recognise, even if itsn‘t so easy at her jacket and some logo, saying that she is working for the public transport. She told us, we will have to take the bus at 2:30 PM and not later, because they wouldn‘t run. She also said, she is making a reservation for us two. After this, we would have had to wait 30 min until the shuttle comes, so we chose the option to take the local guy to get to the main entry. Since we got off the bus, he was following us. We took in China several times a taxi and they were all correct. Bus this guy isn‘t a taxi but a local with a little mini van in bad shape. For overpriced 100 Yuan he drove us. I think, he wanted first twice this price. At the main entry, we saw the official shuttle, which was about to leave. The shuttle is easy to recognise, a white car like above on the photo, but with logo and font since. We asked him about the bus getting back to Beijing and he told, it was coming at 3:30PM, but not at 2:30PM and also not after 3:30. At this point, we decided not to worry and just enjoy our hide on the great wall. At about 2PM we got out at the east entrance, there the local guy was waiting for us. We gave him a sign, that we aren‘t interested and he left us alone. With the help of maps.me, common sense of direction and as we were getting at the highway asking one official, we found the way to the highway bus station. We were there at exactly 2:30PM. No lady for the public transport was too see. We asked busses,… After a while some other tourists, european and chinese, came. Shortly before 3:30PM came the lady back too. Than I just hopped, that we get a place in the bus. We were about 10 who wanted to ride back to Beijing. And as the green bus came, we all got a sit and everything went well. On the high way station, there is no sign, which would indicate where the bus is going to stop. It will stop near the supermarket, when you are looking at its front, on the right side in front of it, not near the gas station, where many other stops, which will take the highway in the other direction. We did this exact trip as you’ve generously described in wonderful detail on your website. We did it on November 27, 2018. Our trip went well despite the fact we did the trip in the off season when a couple of the logistics had to be worked around. We made it to the end point of the bus part of the trip without any difficulty. It was very easy to connect to the bus station from the metro stations. Please note for future visitors that for now when you exit the metro you can see the bus station with all the green buses in the distance HOWEVER they’re building what appears to be large apartment block that, once finished, will likely make it difficult if not impossible to see the buses as you exit the final metro station. We waited for the bus and left for the Jinshanling area at 8am. It was a smooth and safe ride without any difficulties. When the bus portion of the trip was over there were no shuttles to take us to the MAIN gate of the Wall. This was initially disappointing but we eventually negotiated a ride with a guy who offered to take us to the gate. I have no idea if the price we paid was good or poor but we paid 170 Yuan for two people, going there and back. I would like to know if this was a good price or a poor price so future travellers can learn this info. We did the hike for 3 hours or so and it’s positively spectacular. We had a clear blue sky day and felt like we had the entire wall to ourselves. It was incredible. Afterwards our driver showed up soon after 2:30pm and took us back to the bus area as planned. He then walked into the small supermarket/store to help arrange our bus back to Beijing for us. We ended up waiting about an hour for the bus to Beijing and when it finally arrived (near the store not at the other end of the area where all the other buses come and go from by the way). We ended up getting the last two seats on the bus to Beijing. A gentleman from France who was also waiting did not get on the bus and he had to wait for the final bus of the day at 4pm or so we were told. We didn’t have two seats together on the bus but we could hardly complain, we were very fortunate to have any seats. This is an incredible way to see the best part of the Great Wall. Leo should be in the blog hall of fame for sharing this info with all of us. We are immensely grateful, Leo. In summary, if you go in season, I’m sure things will be very easy for you. If you go after the main tourist season then just expect to haggle for a ride to the Main gate. Hopefully Leo can reply here and suggest what a good price is for the ride to the main gate. As mentioned, we paid 170 Yuan return. It’s about 6-7 minutes each way by the way. If you do it as we did, don’t worry if you don’t speak Mandarin. We don’t either but between hand signals, and pointing at your watch or phone, you’ll figure it all out. The driver initially asked us to pay 200 Yuan by the way. So for us 170 represented a small bit of perceived saving 🙂 We didn’t want to spend hours haggling when the wall was right there so we agreed on the 170 figure but protected ourselves by not paying the return portion of the fare until he actually showed up after our hike. If he had never showed up, we would have probably walked back or befriended a local to help us out. If we could change one thing we would have tried to arrange a reservation for the bus back to Beijing before we left to go to the main gate of the wall. If only one other person was in line ahead of us for a reservation then we would have had to wait even longer. And we had been told by many people that the 4pm bus back to Beijing is the last one of the day so you can’t really afford to miss that one. So make sure you leave Beijing early and get on the 8am bus leaving Beijing otherwise you just won’t have enough time to synchronize anything. I hope this info is helpful to others travelling in off season. I can’t imagine a better way to see these spectacular surroundings. Leo is so kind to share this comprehensive information. PS If we can help anyone with any further questions on all this, please ask away and I’ll try to check the website every so often for the next few weeks etc to try to pay forward the excellent info Leo provided us and anyone else who has read this article. Leo’s directions to the bus station are excellent. The Luanping bus stand is literally the first right turn after walking off the subway station walkway (turn left down the B exit stairs, then follow the sidewalk until the first right). Take the right side of the gate which puts you in line for the Luanping bus. 6:55, got in line for the bus. There were some locals already lined up. Our bus didn’t board until 7:05, since they were waiting for more people to show up. By 7:15 it was full, so we left. Paying the whole fare in cash was not an issue (no metro card needed). 8:10, 1st highway stop at Miyun, took 10 minutes. 9:15, arrived at the Jinshanling Service station. Driver stops to let off anyone who wants to stay. This is where to get off. -I looked around for the supermarket; it’s at the far right end of the building when facing the whole complex (ie- furthest away from the gas station end). I asked the bus ticket seller inside if I could reserve an afternoon ticket back to Beijing. No, she said, but come back *before 3:00* to be sure to get a seat. This ended up working out fine as I’ll describe below. -I wanted a good start to make sure I’d be back by 3:00, so I talked to one of the taxi drivers. I was all by myself, and he asked for 80RMB. I suggested 20, and he said no one would do it for that cheap. There weren’t a lot of other drivers around (it was pretty early), so we settled on 50RMB. 9:45, arrived to the main gate, bought a ticket, and headed up. TIP: if you want to hike the longest distance (from the furthest west to furthest east points in the park), turn right on the path right after the small model house exhibit, about 100-ish meters up on the right from the main gate. It’s not marked, but it soon hits stairs to Taochunkou Tower, which is the same destination as entering the park from the West Gate, but is much closer to get to this way from the Main Gate. 9:45 – 2:45, I spent 5 hours slowly hiking the wall from end to end, the furthest west to furthest east, taking over 250 photos along the way. I was by myself, so I didn’t stop for any real lunch, just ate snacks along the way. But I had plenty of time for shooting photos, talking to the wall vendors, and just enjoying the incredible views. The furthest west and furthest east sections are not restored, which I think are the most interesting parts, but the scenery throughout is amazing. The eastern end is definitely the more challenging climb, but going west to east is more uphill than downhill, which I think is easier (going downhill on steep steps is actually harder). Once you hit the exit for the east gate, you can either keep going to the last tower (Simatai), or just turn off. I went the whole way, which provided some challenging sections of wall to navigate (a few of the last towers aren’t passable, and you have to go on the dirt path next to them to go around). Then I went back and took the easy path down to the east gate, and arrived there at 2:45. 2:45, at the east gate I asked staff how to get back to the service center. There is a free 3pm shuttle they said. But I remembered I needed to arrive before 3pm to reserve a bus ticket. I went to the parking lot and a taxi driver offered me to go back for 50RMB. I said there was a free shuttle in 15 minutes, but he concurred that I wouldn’t get a seat on the bus, especially on a Saturday. We settled on 30RMB, and he’d help me reserve a ticket. 2:51, arrived at the station, but I had just missed the 2:30 bus from Luanping. But as promised, he told the bus ticket seller at the supermarket to hold a seat for me. She just pulled out WeChat and messaged her colleague in Luanping to keep an open seat on the next bus. It helps to speak Chinese, but if you can’t then saying something simple to the ticket seller like “Wo yao ding piao” would probably get you what you need. They seem pretty used to this arrangement. -I don’t know how risky it would have been to wait longer than 3pm – I think there’s only one more bus from Luanping afterwards, which may be cutting it too close. If you’re really stuck, there’s a highway tollbooth across the street from the service station where you could probably flag down other buses going to Beijing and ask if they have seats available. 3:40, the Luanping bus arrived, I paid cash for the return ticket, and got back to Beijing by 5:50. No sweat. The whole trip took me 12 hours, door to door. Thank you Leo for this great resource! It’s up to date and very reliable. Wow, thank you so much for your reply and all the details. It is so helpful for travelers! Best wishes!